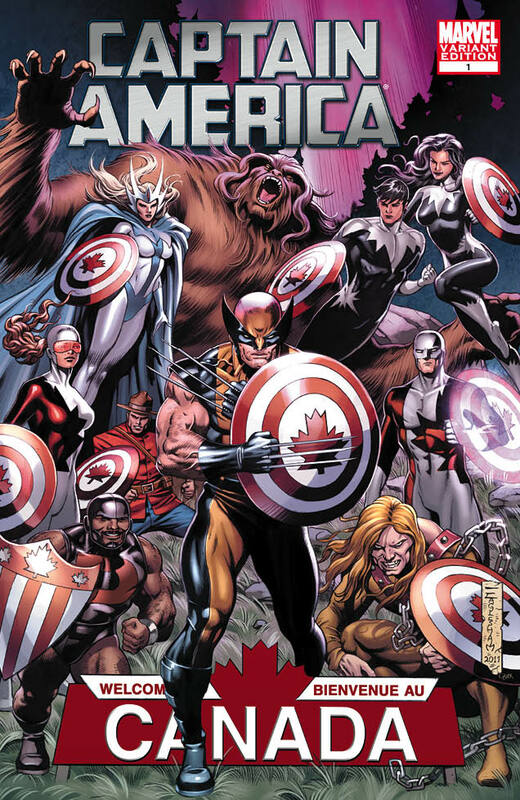 Just in time for Fan Expo Canada 2011, Marvel is pleased to announce an all-new variant by superstar Canadian artist Dale Eaglesham on Captain America #1! The Sentinel of Liberty heads to the Great White North with this special variant for our loyal fans attending Fan Expo at the Metro Toronto Convention Center! No fan can miss out on this this special Canadian variant that will be available for purchase for only four days (August 25th-28th) at the Fan Expo Canada Exclusives Booth! Experience the first issue of Marvel’s explosive new series in true Canadian fashion this month, with the Captain America #1 Eaglesham Variant!